Please note that exploring the following material is entirely optional! ​This is Ian McQueen, a man who had early onset dementia. Sadly Ian died several years ago. You can see he is talking animatedly. What do you think he might be saying? Click on the picture to see one of our favourites from the many amazing things he said. ​Professor Emeritus Faith Gibson is a hugely significant person in how we have come to think differently about dementia and people who live with it. 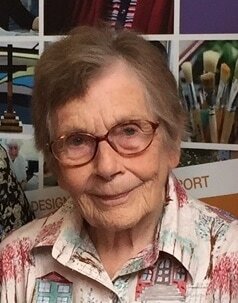 She is a particular authority on the role of reminiscence work, but she has had a broader impact, particularly on our central interest - that of communication. If you click on the quotation below, you'll hear a snapshot of some films, called Video Portraits, made by Sitar Rose as part of an arts project that John conducted when working at Stirling University. Dr Claire Craig is an occupational therapist (and many other things!) 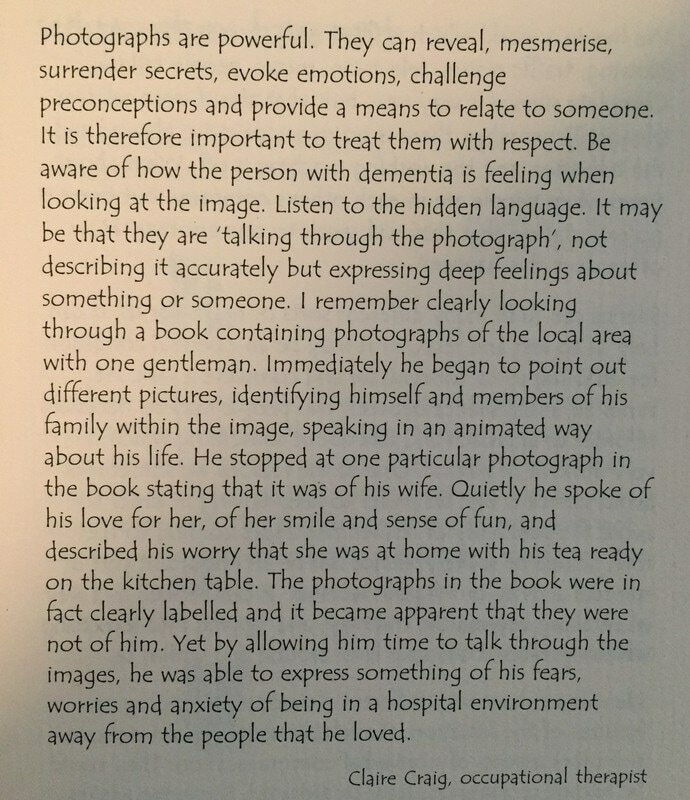 who has a particular interest in the use of photography with people with dementia. If you click on the quotation, you will be connected to a webpage which gives more detail of her work.